I was one of a handful of women in London 25 + yrs ago to sit with senior board members of an exclusive business member network with heavy influences in the political arena. This experience was the beginning of a powerful learning curve to help me build confidence in myself and then share this with other business women as I grew in a male dominated work environment. So much so that today, in Los Angeles, my passion and work is to help women build confidence, break away from self-doubt and step into leadership. During my time in the corporate world, my intuition had led me to work on my own awareness and self-discovery, learning to embrace my own intuitive capabilities in a grounded effective way and studying and experiencing lifestyle, wellness and mentoring tools outside of my daily work. I too had been challenged with health issues and wanted to make a change for myself. At the time, I didn’t know any of this would lead me to where I am today, all I knew was that I was driven to discover more of what was outside of the box. I finally left the corporate world to begin helping women rebuild parts of themselves they had forgotten and build for success. Here I am now in Los Angeles as an International Mentor loving what I do, and loving helping women love what they do too. I have developed a program call reDefine Yourself and Discover your Unique Brilliance, that pulls together experiential, coherence and resilience methods to help women maintain their style of doing business in a heart based way that is fulfilling and yet impacts the bottom line of an organization in a powerful way. 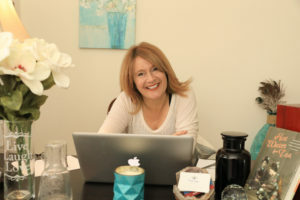 I have expanded my practice internationally to motivate and inspire my clients to become the best expression of themselves through two main methods; my successful (re)Define Yourself program and my energy medicine practice, bringing full circle all of the components for living a purpose driven, fulfilled and prosperous life and ensuring this completely matches each of my client’s personalities. My focus takes you on a journey of self-discovery and grounded, optimal activation and completion of your goals integrating Neurolinguistic and ancient proven Wisdom philosophies to help individuals tap into their success and if they wish, to become heart based entrepreneurs. In addition to my life path mastery work, I am very proud to be serving veterans with my mentoring work and I am the joint creator and CEO of Crusades 22.com a holistic aftercare program for veterans, first responders and their families. She is dedicated and committed to her art, and has been in practice for 22 years as a mentor in both London and Los Angeles where she has trained large numbers of people and health care providers in the art of Reiki/Bio-elecrical Field Therapy, Plant Medicine and worked with vast numbers of people to help them find their true path, vocation and fulfillment in all that they do. Nicola was one of the early pioneers in California for the labeling of natural products and showing exactly what appears in your product, as well as pioneering aromatherapy and energy medicine/Reiki when little was known about these amazing modalities. She has successfully created her own product line and business and now offers her own business experiences through her work. She strongly advocates that before you embark on making any goals or choices in life, you should know who you are and how you can be of service, feel fulfilled by it and successfully create the life you want. This also ties in with any marketing you are planning on doing for yourself or business to ensure you get your story and message to the right people, and make the difference you are inspired to make. 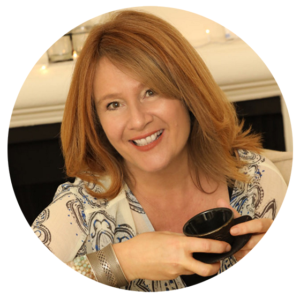 Nicola has worked with numerous clients representing diverse fields including; CEOs, CFOs, Executives, Veterans, Business Start Ups, Senior Management, Health Care Professionals, Educators, Business Owners, Athletes, Actors and Artists, Interior Designers, Psychotherapists.